BLF president Andile Mngxitama declared that the cyclone that hit Mozambique, Zimbabwe and Malawi, was “not a natural disaster but a direct consequence of the white, Western system of ecological assault for profits.” This (cyclone) is mass murder which could be prevented if the West abandoned its ways,” Mngxitama stated. “It’s no longer speculation – even the white man’s own science corroborates what we blacks know: Africa is paying a heavy price for the actions of the white world," he added with a reference to "climate change" science allegedly causing increase in extreme weather. 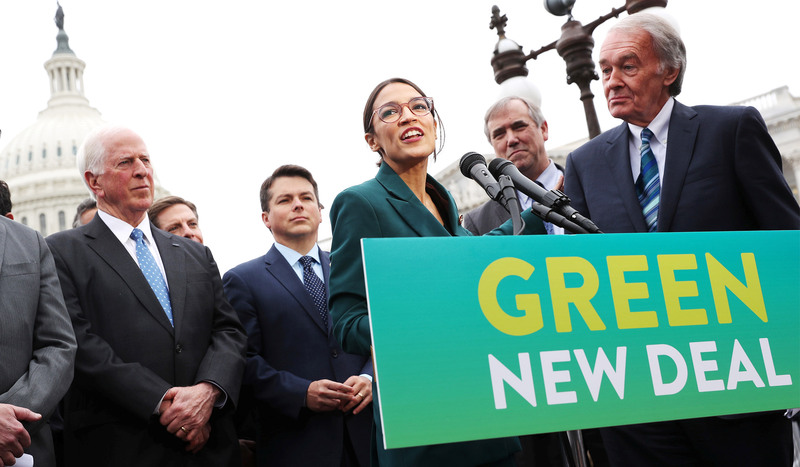 'Bonkers': Green New Deal promises: Free college or trade schools for every American. Economic security” for all who are “unable or unwilling” to work.